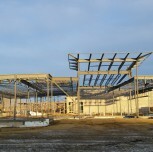 Superior Steel was awarded the contract for the structural steel and metal deck installation (235,000 sq. 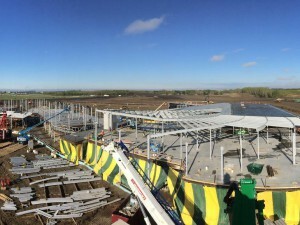 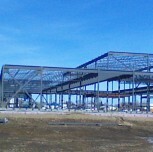 feet) on the new Edmonton Police Campus in mid-2016. 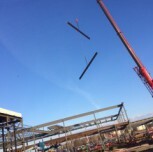 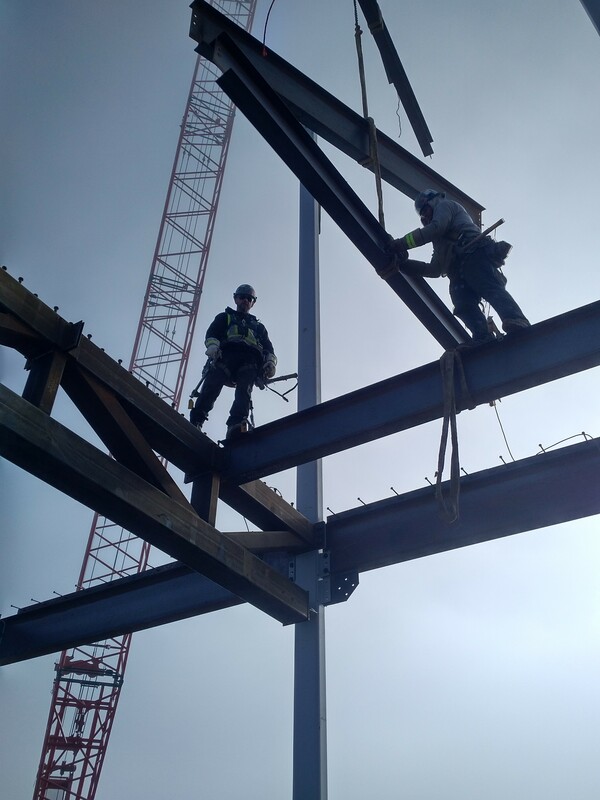 The first of the 1500 tonnes of structural steel was erected in January 2017, and the final piece was installed in December 2017. 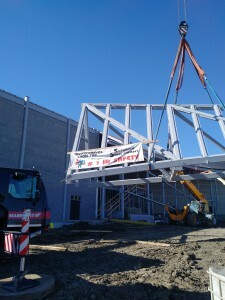 A total of almost 24,000 man hours were worked on this challenging project, and at peak employment had over 25 Iron Workers and Welders on site. Due to the diligence of the safety personnel, field supervision and every crew member on site striving to work safe, there were zero lost time incidents. 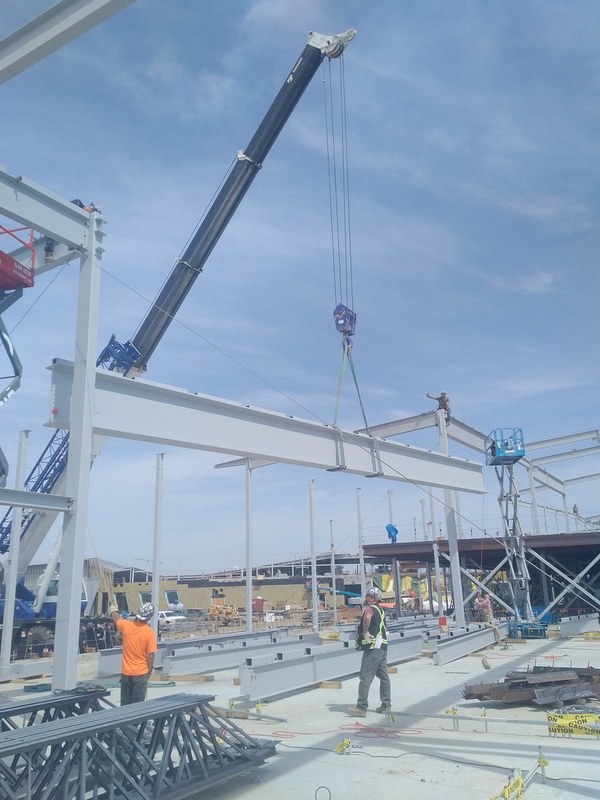 This was a memorable, challenging project that required extensive planning and coordination between the Fabricator, Erector and the multiple trades on site performing their craft. 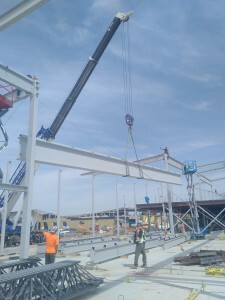 One of the project highlights was landing the "Toblerone Truss" that weighed in at 16,602 kgs. 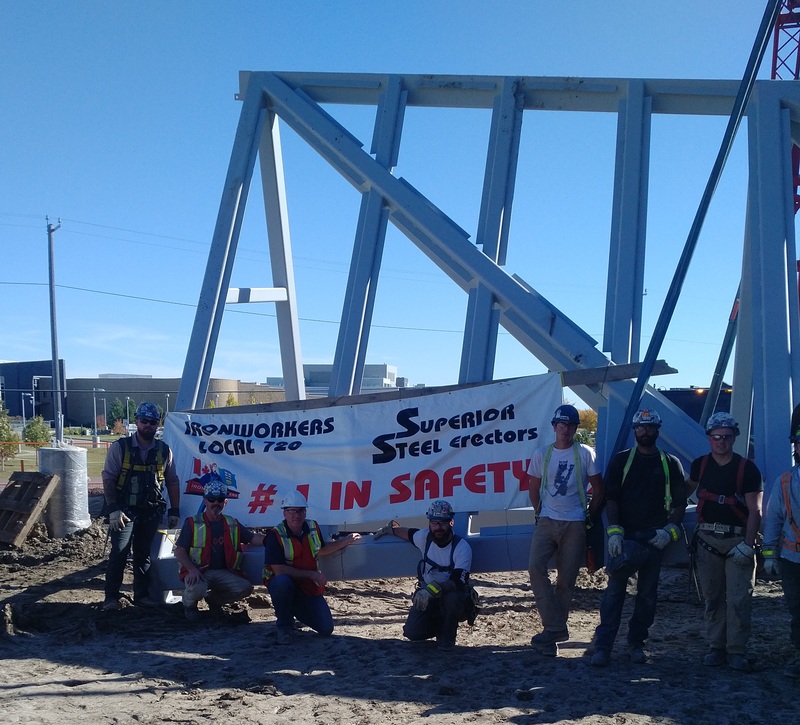 Congratulations to Field Foremen - Johnny Slaney and Steve Vaughan, Project Manager - Everett Lewis and each crew member that worked on the Edmonton Police Campus, for a job well done! 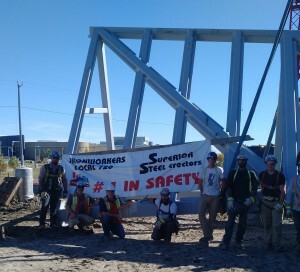 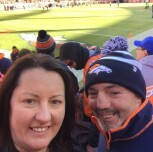 10 years of service – congrats to Johnny Slaney!